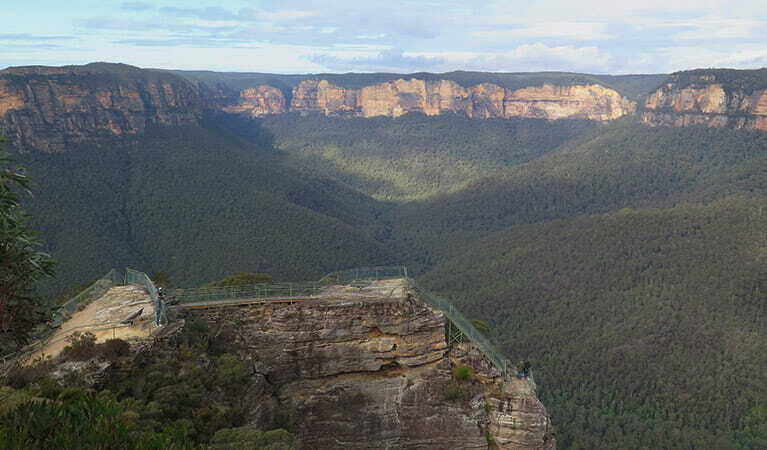 The breathtaking Pulpit walking track, from Govetts Leap lookout, offers scenic valley views, lookouts, birdwatching, and wildflowers in Blue Mountains National Park, near Blackheath. It's a good idea to fill in the free trip intention form and hire a PLB when planning your hike. 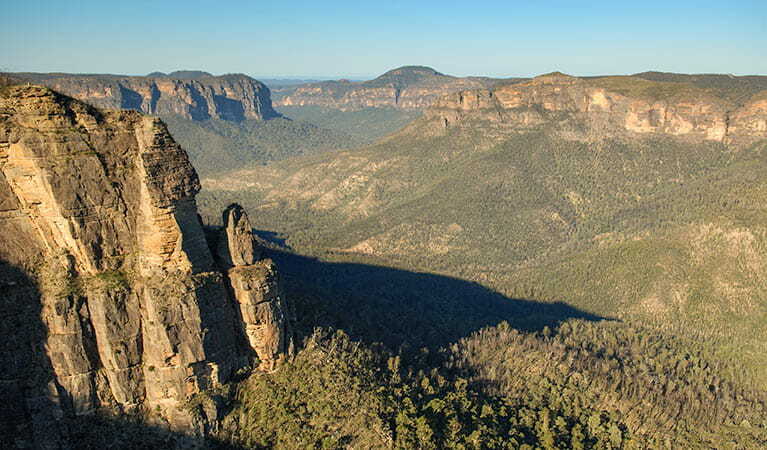 Pulpit Rock is an isolated pinnacle standing away from the cliff-face on a massive blade of rock. 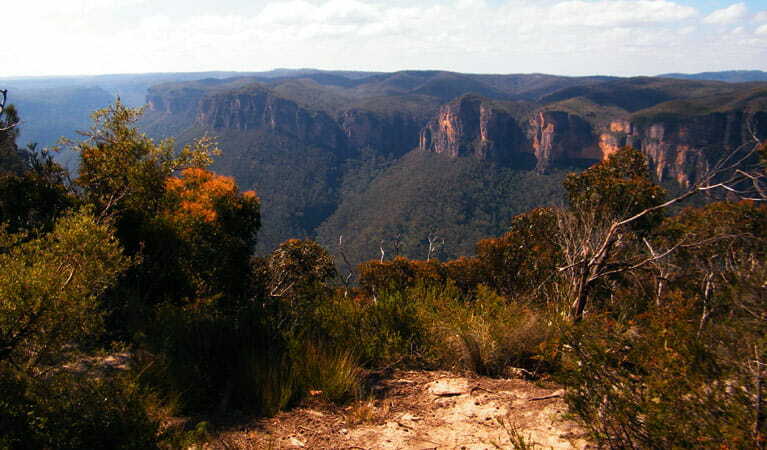 You can walk to it from Govetts Leap, enjoying heathlands, swamps, waterfalls, and an ever-changing view of the Grose Valley. 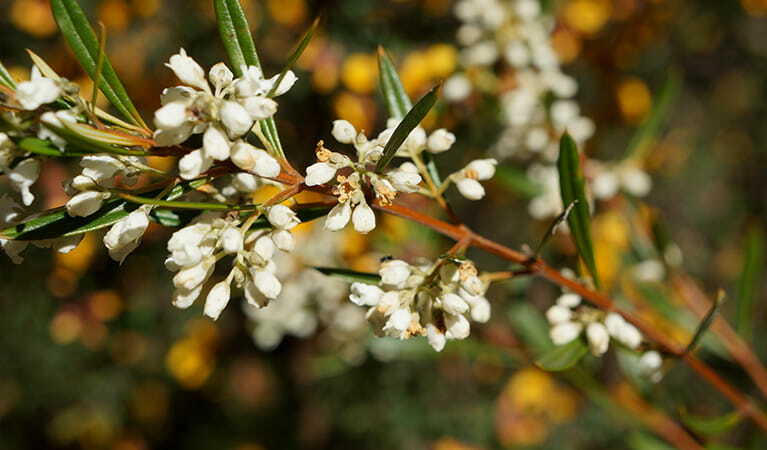 The track begins to the left of Govetts Leap lookout - go down the steps into the shelter of a small creek, where black wattles grow in thick stands. From here, cross the bridge and follow the track to the cliff edge. 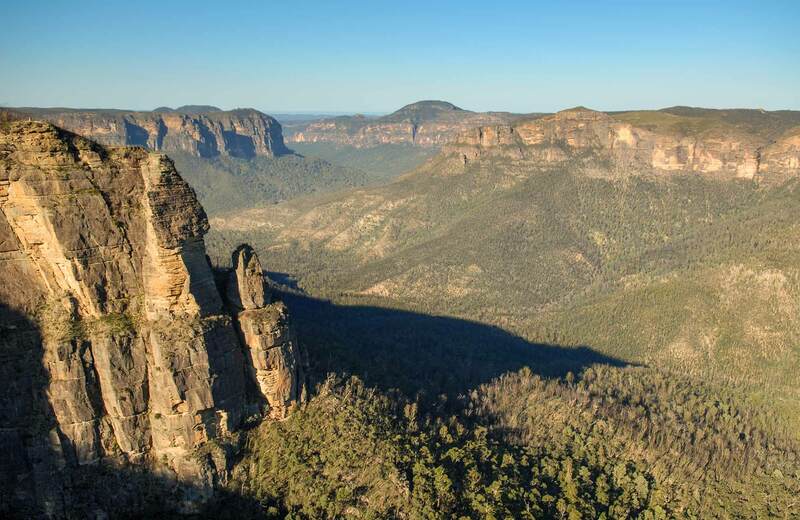 You'll pass several small lookouts on route giving you the chance to admire a breathtaking 280-degree panorama of the Grose Valley and distant mountains. Cross Popes Glen Creek before following the steps up to a lookout above Horseshoe Falls. The track then continues along the cliffline, around hanging swamps and open heathland - look out for wildflowers in November. 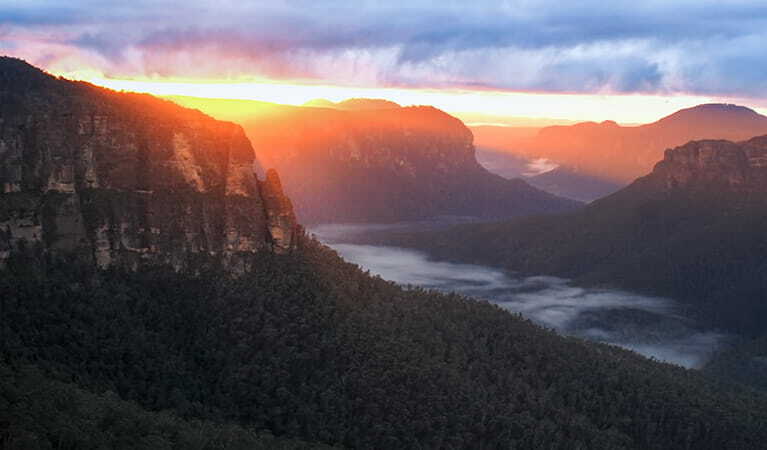 Eucalypt forests then become a feature of the landscape as you near Pulpit Rock lookout. 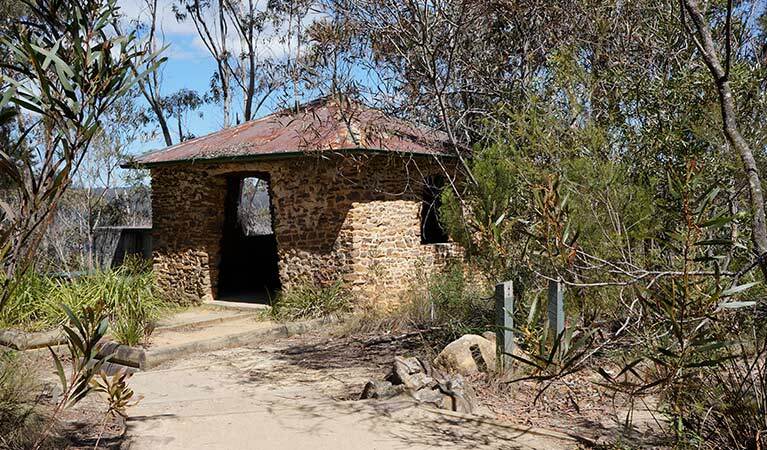 Retrace your steps back to Govetts Leap or leave a vehicle at Pulpit Rock lookout, accessed via Hat Hill Road. Take a virtual tour of Pulpit walking track captured with Google Street View Trekker.